Located within The O hotel, The O spa offers a space for ultimate relaxation and rejuvenation. The staff is professionally trained to help you pamper your ind body and soul. The spa features spacious interiors that are soothing and instantly helps you relax. 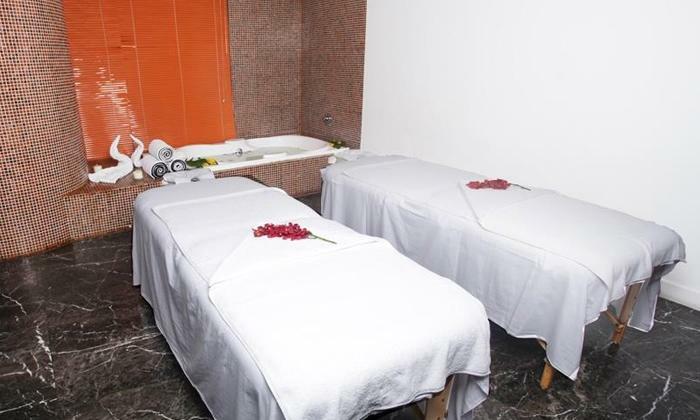 The spa's high standards of cleanliness and hygiene as well as its staff's adherence to consistently providing qualitative service makes it just the right place to relax and rejuvenate.